This past Friday the last British-made typewriter, the CM-1000, left the Brother factory in Wrexham for London’s Science Museum collection. Eye received a tiny, tactile, hand-printed snake book from Barrie Tullett of The Caseroom Press, wrapped in a typewritten paper sleeve. 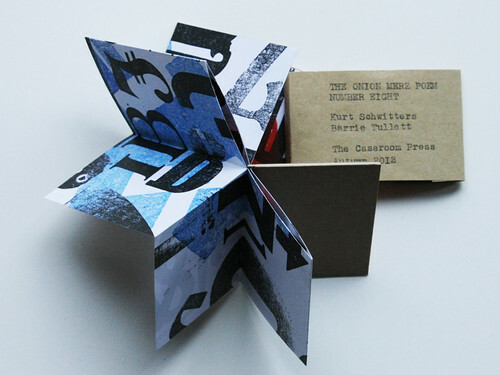 The book The Onion Merz Poem Number Eight responds to one of Kurt Schwitters’ fairy tales, produced as part of the MerzBox project in collaboration with Irvine Peacock and Jack Zipes. 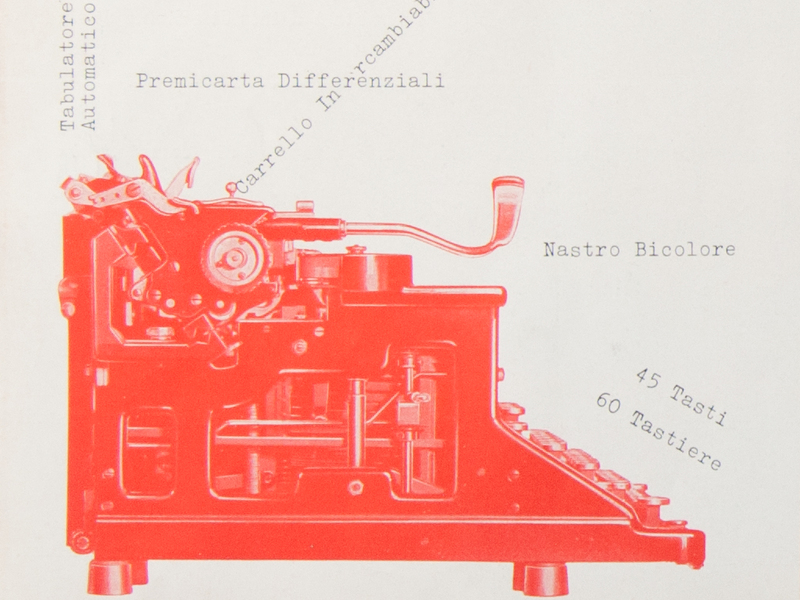 Top: detail from brochure celebrating the 25th anniverary of Olivetti, 1933. Design: Ricas+Munari. KK Outlet’s ‘Mapping America’ exhibition closes 24 November 2012 and features infographic of US Election statistics. Interpretations vary but all point to lesser known facts about voters and political interest. 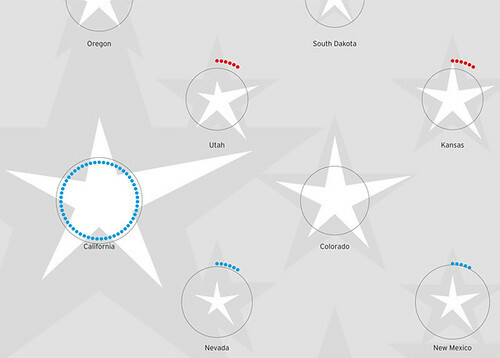 United Stats of America by Andreas Koller and Melissa Kim, both RCA students in Information Experience Design MA course. One of three, the poster tells the stories of the 2008 US presidential election (using MIT statistics) and mimics the neat grid of the 50 stars on the US flag. 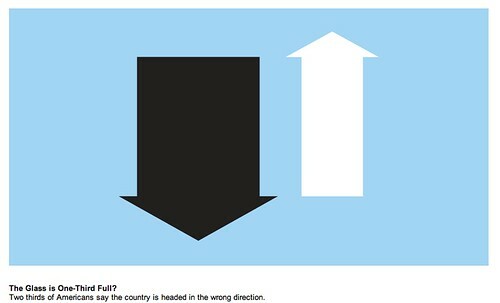 Right below: one of MGMT’s (Re)Flag series plotting American opinions on the political trajectory of their nation. Hamilton Wood Type Foundry needs support to the tune of $250,000 to relocate (in less than two months) to a new space: 30,000 square feet of printing history seeks a new home. 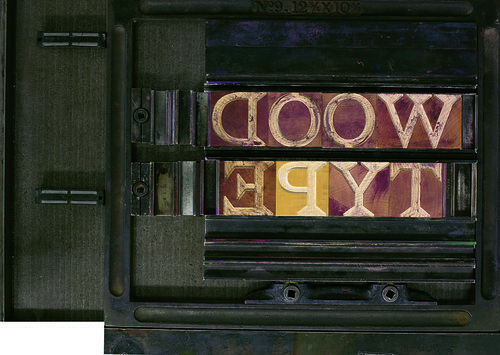 See the Eye events listing for Hamilton Wood Type Foundry’s workshop on 29 November 2012. Also, Matthew Carter’s ‘Yin and Yang’ from Eye 76. Speaking of type (and requests for money), Amos Paul Kennedy Jr is looking for donations (via Indiegogo) towards his Detroit Printing Plant. See the full length film (free until the end of the month) Proceed and Be Bold! on YouTube about Amos’s life and work. Eye is the world’s most beautiful and collectable graphic design journal, published quarterly for professional designers, students and anyone interested in critical, informed writing about graphic design and visual culture. It is available from all good design bookshops and online at the Eye shop, where you can buy subscriptions, back issues and single copies of the latest issue. You can also browse visual samples of recent issues at Eye before You Buy. The latest issue, Eye 84, will be out any day now.